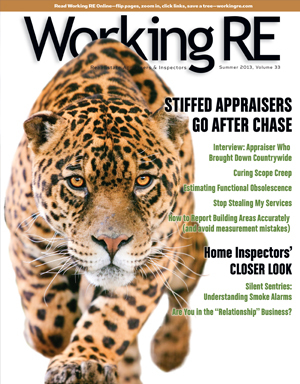 Like being in the middle of a paintball free-for-all, messy things are coming at appraisers from all sides these days. In addition to lenders trying to pin buybacks on the backs of appraisers (while seeming to ignore the wild-west underwriting practices that floated the bubble), State Boards also are bringing complaints against appraisers in record numbers. But there are critical differences between lender lawsuits against appraisers and state Board Complaints and it’s vital to understand the differences. 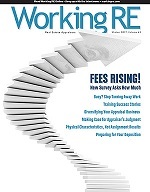 I’d like to share something that was raised in a recent OREP/Working RE webinar on the subject: Complaints: What to do When the State Board Comes Calling- designed to show appraisers how to prevent and respond to State Board Complaints. In the run up to the webinar, an appraiser asked presenter Tim Andersen, MAI whether it is true that state boards don’t consider value when evaluating complaints. Andersen says it is true that the state’s concern is not the value conclusion per se, but how the appraiser arrives at that value. “If you can’t prove from the workfile that you followed USPAP, then the appraisal is ‘wrong,’” Andersen says.